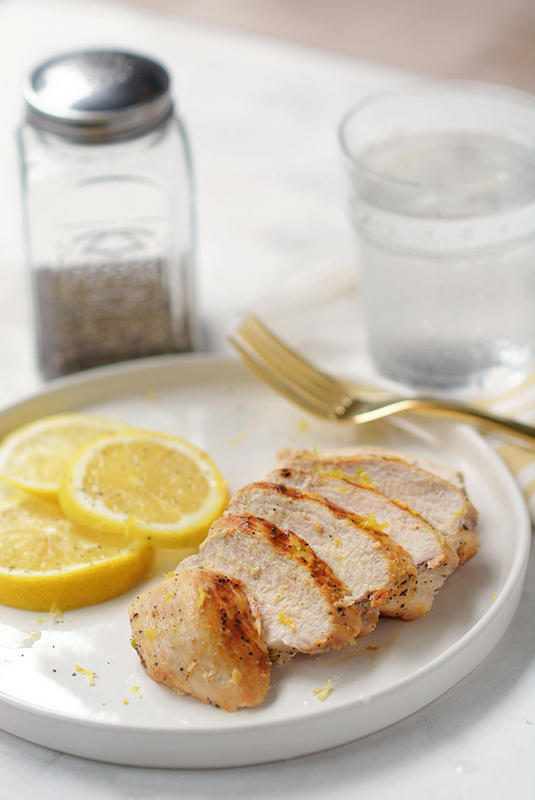 Easy Lemon Pepper Chicken Marinade – Meet your new weeknight staple! This easy-to-make, widely-loved chicken marinade recipe pairs well with an endless variety of seasonal sides! 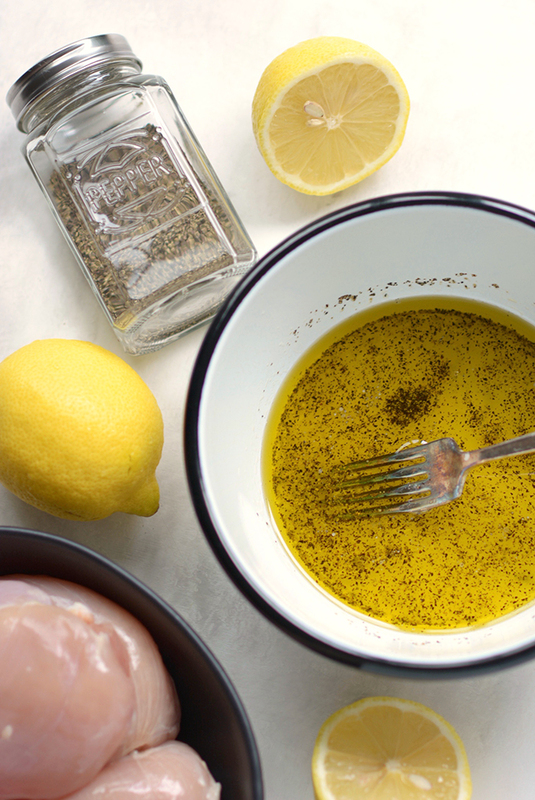 I’ve been blogging for almost 4 years now and for that whole time I’ve been making my family today’s recipe for Easy Lemon Pepper Chicken Marinade. 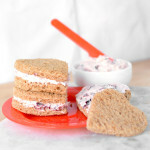 This recipe has been a mainstay in my kitchen that everyone loves. It’s so simple and it really transforms a boring piece of chicken into a succulent dinner. 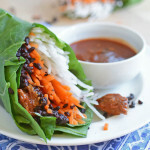 Now that I think about it, it seems kind of silly that I’m just now sharing this simple go-to recipe with you. Sorry about that! Lemon Pepper Chicken is a home cooking basic that everyone should have in their dinner time arsenal. 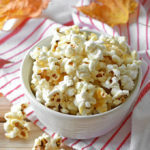 It’s super versatile, as you can mix it up quickly or you can freeze it for later. Plus, it pairs with a number of seasonally-available sides throughout the year. 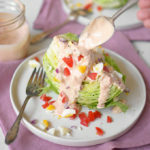 Below you’ll find all of the info you need to be on your way to making this easy recipe a mainstay in your dinner time rotation. 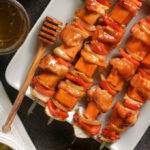 This recipe can be used in a variety of ways from marinating a whole piece of chicken (boneless or bone-in) to cubed chicken. It can be sautéed, grilled, or baked. I prefer it on white meat, but it’s also good on dark meat. Trim the skin and any excess fat from your chicken. Whisk together the olive oil, lemon juice, salt, and pepper. For the exact proportions see my recipe card at the end of the blog post. 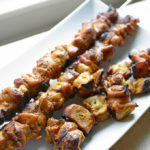 Allow the chicken to marinate for 30 minutes to an hour before cooking (scroll down for freezing instructions). Grill, sauté, or bake the chicken based on your preference. Note that chicken should always be cooked to an internal temperature of 165ºF for food safety. Measure the temperature in the middle of the thickest part of a boneless cut of meat. For bone-in cuts press the tip of the thermometer against the bone at the thickest part of the meat. Cooking times may vary slightly based on your oven and the size of your cut of meat. Use the below times and temperatures as a guideline. 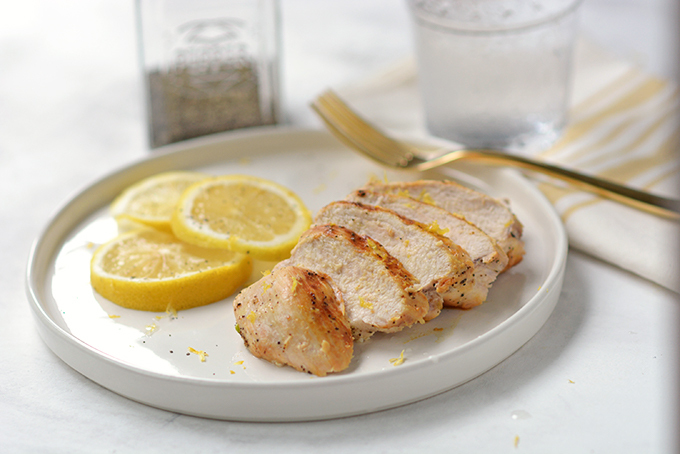 How do you bake lemon pepper chicken? Tip: cover skinless chicken in the oven with a piece of parchment paper to prevent drying out. 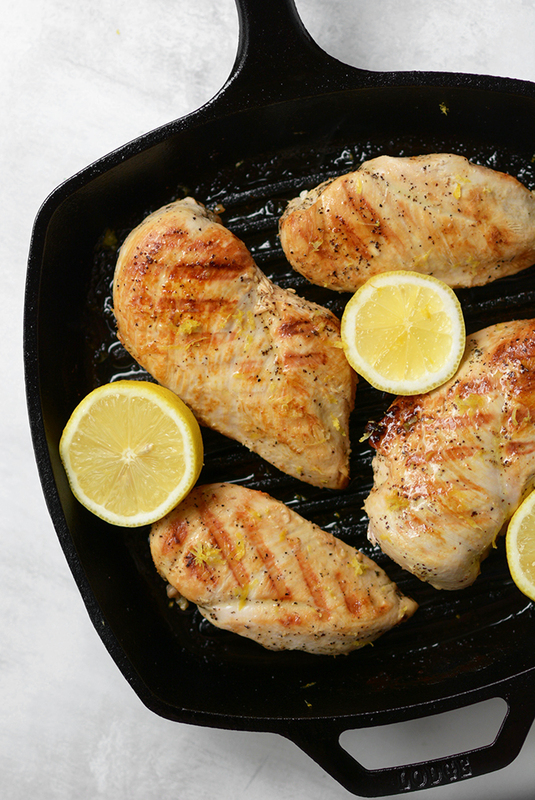 How do you cook lemon pepper chicken on the stovetop? 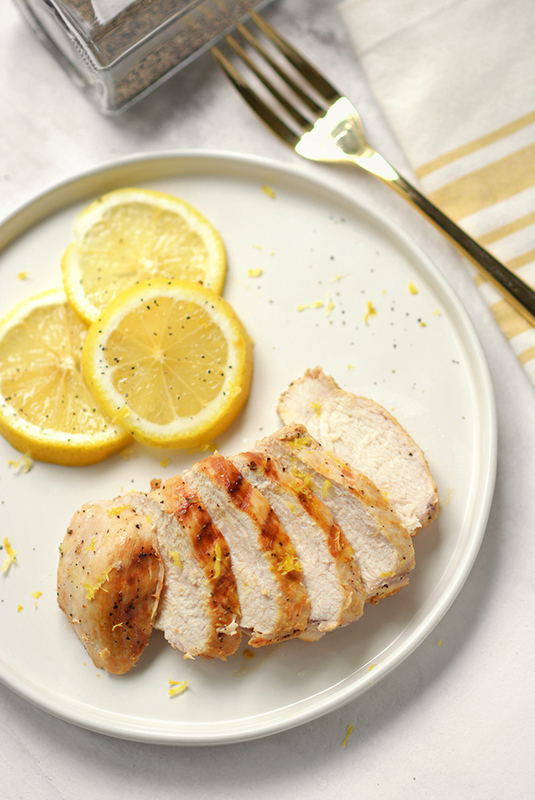 How do you grill lemon pepper chicken? Can lemon pepper chicken be frozen? Place the chicken and marinade into a freezer-safe bag. Store in the freezer for up to one year. If freezing longer than 2 months, consider wrapping the freezer-safe bag in aluminum foil and then placing in a second freezer-safe bag to prevent freezer burn. Defrost in the refrigerator for 24 hours for breasts and thighs and 48 hours for a whole hen. Potatoes: Roasted, boiled or mashed with simple seasoning such as butter, salt, and pepper. Also good with basil, rosemary, or parsley. Couscous: Plain with butter or olive oil. Also good with proprietary mixes like parmesan, roasted garlic and olive oil, or Mediterranean flavor profiles. Rice: Plain with butter or olive oil. Good with proprietary mixes like parmesan, roasted garlic and olive oil, or Mediterranean flavor profiles. Noodles: Coated with butter or olive oil and seasoned with salt and pepper. Asiago or parmesan cheese is a tasty addition. Also season with fresh parsley or basil. Steamed, sautéed, or roasted seasonal vegetables like broccoli, green beans, kale, asparagus, Brussels sprouts, sugar snap peas, carrots, or summer squash. 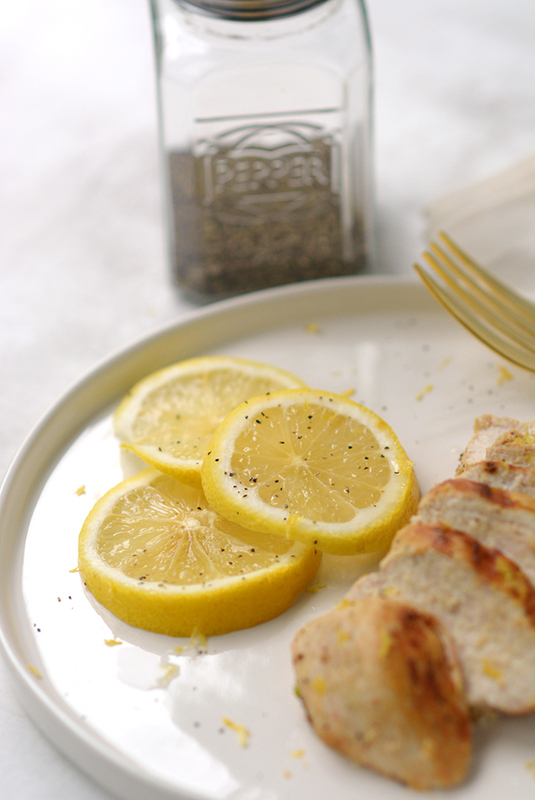 Lemon Pepper Chicken is also good served warm or chilled in a sandwich, pita, or wrap. I recommend using mayonnaise, hummus, or baba ganoush as a spread. Trim the skin or any excess fat from your chicken. Whisk together the olive oil, lemon juice, salt, and pepper. Allow the chicken to marinate for 30 minutes to an hour before cooking. Grill, sauté, or bake the chicken based on your preference. As such the cooking times will vary based on cooking method and the size of the cut. 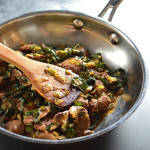 For your benefit I have general cooking guidelines listed in my blog post. Regardless of what method you use to cook your chicken, it should reach an internal temperature of 165ºF for food safety. Freezing Instructions: Add marinade and raw chicken in a freezer safe bag. Seal the bag removing any excess air. Store in the freezer for up to 6 months. To prepare, thaw in the refrigerator for 24 hours and then cook per the instructions in the recipe. This recipe can be used on a whole piece of chicken or on cubed chicken for a sautéing, grilling, or baking. Double this recipe if marinating a whole hen. 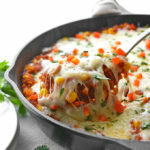 What a recipe blog post! 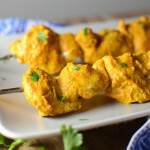 I love this lemon pepper marinade recipe and how you have so many different ways to use it and all the different cooking times and temps. Thanks for sharing! I’m happy you found this post helpful Aleta!